Your Shareholders' Resolution will be customized in accordance with . What is the difference between a resolution and minutes?A resolution is a written document that describes the actions taken by the shareholders of a corporation in lieu of an actual meeting. The minutes are a written document that describes and records actions taken and resolutions passed by the shareholders during a regular or special meeting of the shareholders. You can select Minutes of Shareholders' Meeting from the All Products page instead if you prefer.What is a Jurisdiction of Incorporation?The Jurisdiction of Incorporation is the Province or Territory in which the corporation was incorporated or the Province or Territory in which the corporation was continued. 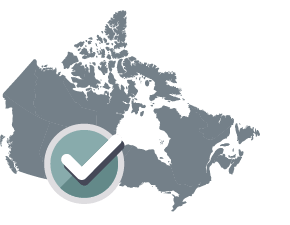 In Canada, a business may also be incorporated federally, which allows the corporation to trade across all provinces and territories using the same name. If you are unsure of your corporation's jurisdiction, check your articles of incorporation or corporate charter. RESOLUTION IN WRITING of the sole voting shareholder (the "Shareholder") of __________ (the "Corporation") effective this 22nd day of April, 2019. The Corporation is a corporation organized and operating in accordance with the federal laws of Canada.